McCaskill Blames Senate Defeat On Democratic 'Failure' With Rural America The Missouri Democrat reflected on her loss in an interview with NPR. McCaskill criticizes how Democrats handled the Kavanaugh nomination and warns her party against going too far investigating Trump. 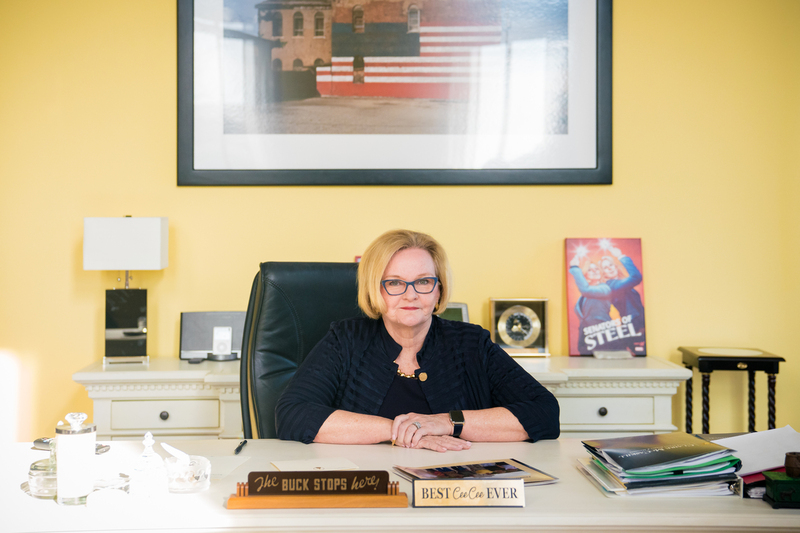 Sen. Claire McCaskill of Missouri characterized her 2018 electoral defeat as a "failure" of the Democratic Party "to gain enough trust with rural Americans." Sen. Claire McCaskill, D-Mo., is about to head home after losing her bid for re-election, and in defeat she's blaming her own Democratic Party for abandoning moderates. McCaskill has represented Missouri in the Senate since 2007. During her tenure, President Obama lost Missouri twice and President Trump won it handily. McCaskill was one of 10 Senate Democrats running for re-election in states Trump won; four lost. In an interview with Morning Edition host Rachel Martin, McCaskill characterized her loss as a "failure" of the Democratic Party "to gain enough trust with rural Americans," and she predicted her party will struggle to win other seats as long as President Trump remains in office. "This demand for purity, this looking down your nose at people who want to compromise, is a recipe for disaster for the Democrats," she said Thursday in her Capitol Hill office. "Will we ever get to a majority in the Senate again, much less to 60, if we do not have some moderates in our party?" I don't think my vote [against Kavanaugh] hurt me as much as the spectacle that occurred. There were mistakes made by my party in terms of how that was handled. I don't think that communication [from Christine Blasey Ford] to the judiciary committee should have been kept private as long as it was. The FBI deals with a lot of confidential information, and that would have absolved [judiciary committee ranking Democrat Dianne Feinstein] of the very real perception that this was an 11th-hour attempt to gut a guy. They've got to be careful with their oversight that it does not dwarf their messaging about how much we want to get done for the people of this country. If we focus on just going after Trump, then he has his foil. He will blame Nancy Pelosi and the House Democrats for every problem he has. He clearly will never take any responsibility for any mistakes he's made. And frankly, a lot of his mistakes have been pointed out, and it hasn't really moved a lot of the voters we need to move. I want them to be very cautious and careful to not go after him because they can, but to be careful about where they put the emphasis of their messaging and time so the American people don't think this is just about Trump-bashing. We're in trouble if they do that. The problem is the politics of compromise. We have developed into a society where everyone can go to their chosen news outlet for affirmation and not information. They can go to their chosen websites, their chosen Facebook pages, for affirmation and not information. Everyone gets in their own bubble. And when you're in that kind of echo chamber, it feels very scary to step outside of it. People have black armbands on around the Democratic caucus, because it feels like we've lost Lindsey Graham. He is someone who was willing to step outside that bubble from time to time and really do the hard work on issues like immigration. We're mourning right now because we fear he's gone. The Republican Party is the party of Donald Trump right now. Now, that really helped him in Missouri. And it helped him in Indiana. And it helped him [in] North Dakota. But it hurt him in a whole lot of other places. And I actually don't see that getting better for Republicans. And I think there will be Republicans 10 years from now that will look back with regret that they did not stand up and speak out at moments that were critical. Whether it's the murder of a journalist in a Turkish embassy [consulate], or whether it's somebody on his team negotiating for financial dealings for his company after he became president, all of this kind goes in the same big bag. I would be nervous if I were some of the Republicans, that are my friends and colleagues in the Senate, that, like me, have held their tongue.